Studio, 1 or 2 Bedroom Suite at Westgate Town Center in Kissimmee, Florida! 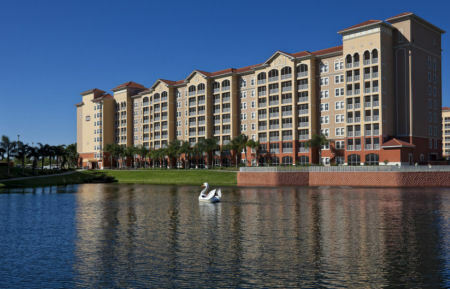 Westgate Town Center in Kissimmee, Florida Near Disney - Buy a 7 Night Stay in a Studio, 1 or 2 Bedroom Suite! 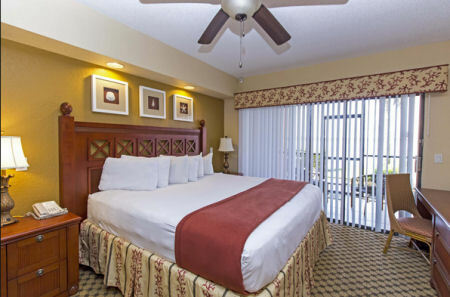 Enjoy 7 Nights in a Studio, 1 or 2 Bedroom Suite at Westgate Town Center in Kissimmee, Florida! 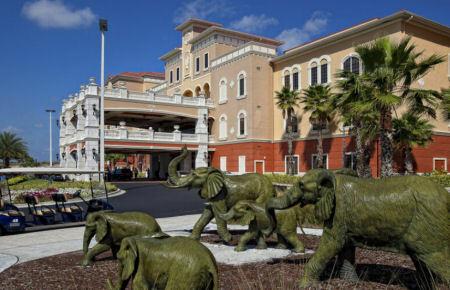 Westgate Town Center provides guests all the comforts of home just 1 mile (1.6 kilometers) from Walt Disney World. Accommodations range from studios to two-bedroom villas, each of which features a full kitchen or kitchenette. 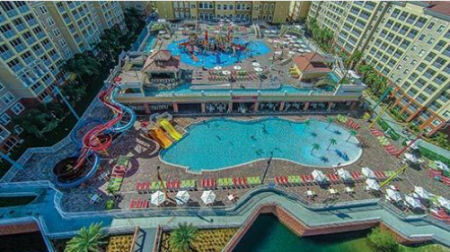 On-site amenities include 14 heated outdoor pools, 14 hot tubs, a children's wading pool, pool bars, Cordovano Joe's pizza, Drafts Sports Bar & Grill, Starbucks, minimarket with deli, exercise facility, Disney Movie Theater, and lakeside marina and dock. 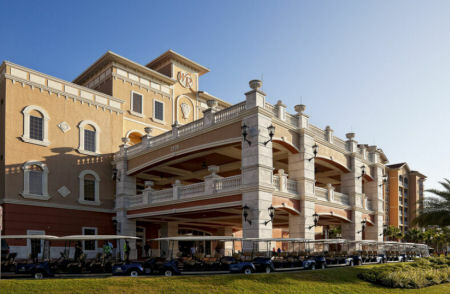 All within minutes of Orlando's world-famous theme parks and attractions. With a variety of onsite amenities and dining options, your vacation is waiting at Westgate Town Center! Free scheduled theme park transportation is available (restrictions apply). Studio Villa: More spacious than a typical hotel room, the Studio Villa accommodates up to 4 guests and offers an ideal setting for a memorable vacation at the theme parks. Studio amenities include a double bed, a queen sleeper sofa in the living area, kitchenette with microwave and mini refrigerator. Available Check-in Dates for a 7 Night Stay! 1 Bedroom Villa: Enjoy all the comforts of home in the One-Bedroom Villa, which offers 510 square feet of space and accommodates up to 4 guests. Villa amenities include a king bed, queen sleeper sofa in the living area and a partial or full kitchen. OR UPGRADE TO A 2 BEDROOM SUITE FOR ONLY $125 FOR THE WEEK! 2 Bedroom Villa: The Two-Bedroom Villa provides the perfect setting for an unforgettable vacation or business trip. Enjoy 690 square feet of space and in-room amenities such as a king bed, bunk bed, queen sleeper sofa in the living area, fully equipped kitchen, dining area and washer/dryer. 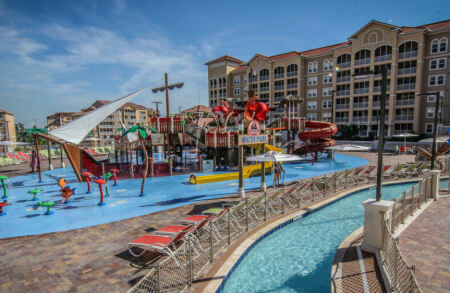 "Shipwreck Island", on-site water park, charges a daily, per person fee for usage: $20/person, children under 3 years old are free.